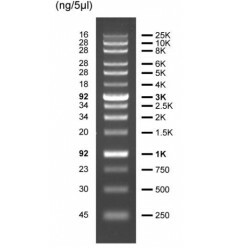 SERVA DNA Stain Clear G 50ul FREE Sample! 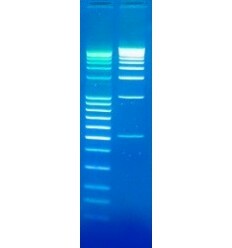 DNA Stain Clear G is a more convenient version of and in some applications more sensitive than SERVA DNA Stain G. It can be used instead of highly carcinogenic ethidium bromide for detecting nucleic acid in agarose gels. 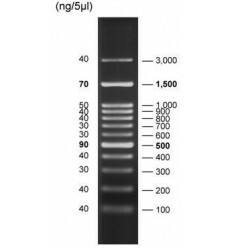 SERVA DNA Stain Clear G emits green fluorescence when bound to DNA or RNA. 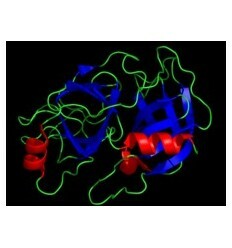 It has two secondary fluorescence exication peaks (ca. 270 nm and 295 nm) and one strong exication peak centered around 490 nm. The fluorescence emission is similar to EtBr at ca. 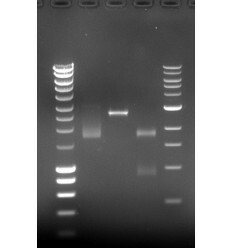 530 nm when bound to nucleic acid. 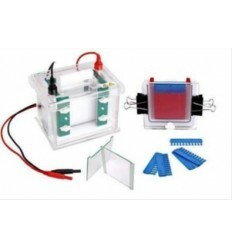 Pre-casting and post-staining protocols are applicable. 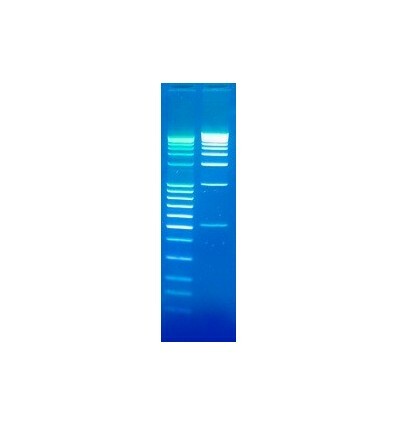 1 ml of this stain is sufficient for 17 - 25 L of agarose gel. 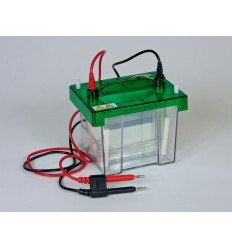 For more information see downloads.